We value our partners in helping us to extend our vision of providing safe & convenient drinking water. The experts at AB Marine are committed to helping you enjoy your boating experience to the fullest with innovative marine products and propellers. AJIA, which means Asia in Japanese, got it’s start in 1994 as an export housing company shipping homes to Japan. Then in 2000, AJIA launched into custom designed prefabricated homes in Western North America. Proud to be locally owned and operated, AJIA believes in giving the straight goods to our clients and earning our reputation every single day as an honest business built through 20 years of operation. Amrak Water Group supplies and services potable water treatment systems for the residential, commercial, and industrial market. Aztec Off Grid Solutions offers a comprehensive off grid or grid tied solutions. This can include propane appliances, solar PV, wind turbines, space heating, and propane standby generators. There are no 'cookie cutter' solutions that work for every customer in every situation. Aztec Off Grid Solutions has energy advisers that can do a site visit, measure renewable energy sources, and develop an energy independence plan tailored to your unique needs. Put your project in our hands and we will take care of you before, during and after the sale. Basin Marine is a family owned and operated shipyard that was founded in 1939. We support all ABYC standards in the industry. We are the model for shipyards throughout the state in regard to the environmental measures we take to keep the sea, land and air clean. Since 1966, Camping World has proudly offered specialized products and accessories, expert advice and professional service to recreational vehicle owners and campers. We've grown from a single store in Bowling Green, Kentucky to the nation's largest retailer of RVs, RV accessories and RV-related services. With over 130 SuperCenters nationwide, a full-service call center and comprehensive website featuring thousands of quality products for RVs, camping, towing and outdoor living, Camping World is the premier one-stop-shop for everything RV. 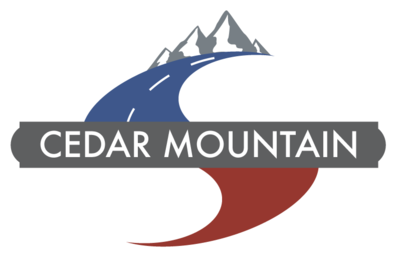 We at Cedar Mountain are in love with the RV lifestyle. The open road, the sights along the way, the beautiful country we are free to roam … Is there anything better? Whether on a weekend getaway, or enjoying the adventure of long haul, our time on the road has taught us a thing or two. On any RV trip, the RV is home, and like any home, there is always room for improvement. We specialize in RV Improvements – enhancements to the RV experience that make every day and mile feel more and more like home sweet home. Nothing should get in the way of time well spent on the road. Our products and solutions aim to ensure that. A full service yacht maintenance and repair shop in North Vancouver. Owner Frank Volaric has built his business from decades of experience, his fine eye for quality, and an over and above customer service. No project is too large for Frank's team and no requests are beyond his expertise. Elkhart Supply Corporation was founded in 1949 by Lowell and Lucille Shaum. As an electrical wholesaler, the business began to grow in the contractor, industrial and MH/RV market. Still in need of more space for storage, in 1964 ESCO moved to the empty Riblets Manufacturing building which is behind our present location. By 1986 ESCO needed more space again which created the new building on Kent Street. Fisheries Supply Company is a family-owned business that opened its doors in 1928 at Pier 55 on Elliott Bay in Seattle, Washington. Fisheries Supply originally served commercial fishermen and canneries in the Pacific Northwest and later expanded its business to serve wholesale and retail customers in the commercial and pleasure boat markets. Now located next to Gasworks Park in the center of Seattle’s maritime industry, Fisheries Supply has become the largest distributor of marine products in the Pacific Northwest. With a 36,000 square foot warehouse and one of the broadest selections of inventory in our industry, we serve boat dealers, builders and yards, chandleries, commercial fishermen and recreational boaters across the Pacific Northwest and Alaska and beyond. Established in 1988, North Harbor Diesel has decades of experience in everything "yacht" from products and services to repairs. NTP-Stag, a privately held company, is a provider of quality aftermarket products, parts and accessories for dealers in the recreational vehicle (RV) and hitch and tow industries. The company was founded in 1962 by Wallace J. Lewis as Northwest Trailer Parts. Rekord Marine Enterprises Ltd was founded in 1970 with the goal of supplying excellent quality products to the marine industry. Today, Rekord Marine has over 10,000 products and continues to be a successful family owned business. Dave and Tracey Brannam have been the the proud owners of RV Water Filter Store since November 1, 2016. They have been RV’ing for 20 years on and off, and full timing since 2014. Jojoba Hills RV Resort which is their current home base and where they met Rick and Lynn Dahl, the original owners of RV Water Filter Store. They are passionate about clean water and helping others, and buying the business allowed them to continue to travel around the country, bringing the ability to clean water to the RV’ing community. Their intent is to provide excellent customer service and innovative products, and continue to grow our product line and customer base so everyone who RV’s can have clean water anywhere they are. Southern California Marine Enterprises, SCME, carries a large range of marine products, including air conditioning, refrigeration, ice makers, water heaters, water makers, pumps, stoves, ranges, batteries, chargers and accessories. Sunburst Boat Company, established in 1985, specializes in service and installation of water purification products suitable for use on 25 feet pleasure crafts to cruise ships. Anacortes, WashingtonThe Boat Yard is the Marina's most trusted full-service boat repair yard and marina, focused on providing the highest level of personal service to every customer. The Boat Yard aims to be your boating resource center. Thomas Desalination Service was established in 1986. Located in the beautiful Puget Sound region of Washington state, their business was founded on selling and servicing marine watermakers. They have since become a full-service water treatment company, having added residential and commercial reverse osmosis and softening equipment. Our knowledge and experience has helped make us a trusted partner, providing the right equipment and expert service for our customers. Vintage Trailer Supply has everything you need to restore and renovate your trailer from hard-to-find vintage trailer parts to accessories. Yacht Services has over 25 years of experience in providing wood working, mechanical and hydraulic repair & services, electronic sales and installation, general yacht maintenance service, installations, repairs and many more.